Paytm is used by millions of Indians to recharge phones, pay bills, book flight tickets, buy goods, and more. Now, the app has received another new inclusion to its long list of features. Users can now make hotel reservations via the Paytm app as well. The company has acquired hotel room booking platform NightStay to help it add this new feature to the app. 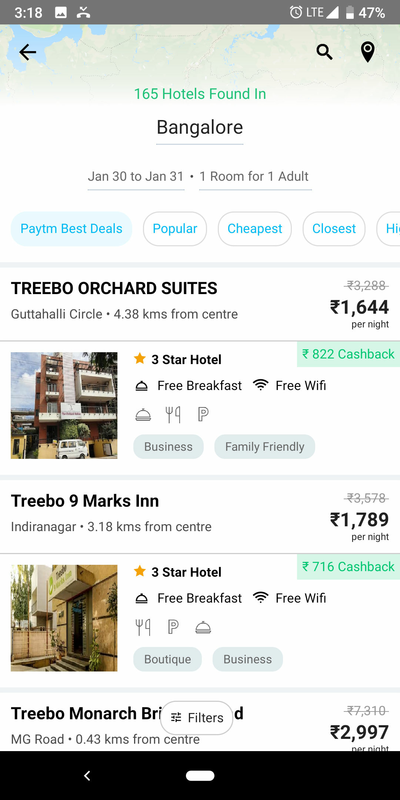 With the NightStay acquisition, Paytm will be competing with services such as OYO Rooms, MakeMyTrip, Booking.com, and others that allow users to make hotel reservations. Paytm already allows users to book flight, rail, and bus tickets. Therefore, hotel bookings seems like the perfect way to expand its travel business. The company acquired NightStay for Rs 142 crores and further plans to invest Rs 500 crores to scale up its operations. 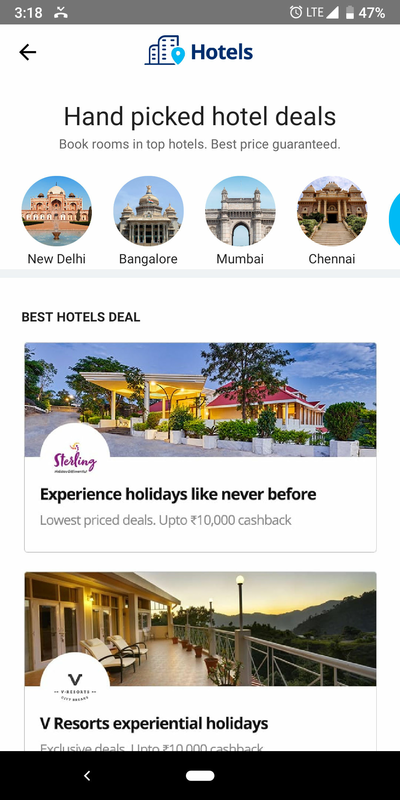 Paytm has partnered with over 5,000 hotels to provide deals to those who are making last minute hotel bookings. Its main hotel partners include Sarovar, VResorts, Sterling, Ginger, and a few others. It plans on acquiring more hotel partnerships and aims to becomes the leading hotel booking service in Asia by 2020. As of now, the services will be available in 12 cities across India. You can book luxury, business and budget hotels in Mumbai, Goa, Agra, Bangalore, Chennai, Delhi, Hyderabad and Jaipur, among others. For now,NightStay founder Nasr Khan will be looking after the hotel-booking service at Paytm. Users planning to book hotels via the Paytm app will have access to over 50,000 rooms across the country. NightStay was founded in 2014 and it provided hotel-booking services to its members only. Paytm also started its travel business in 2014 and currently sells over 60 million tickets every year across all flights, bus and rail. The company is doing quite well in India and recently reported a revenue of Rs 3,235 crore for the financial year 2018. Earlier this month, Paytm teamed up with Zomato to offer food delivery in Delhi. It will start offering food deliveries in other regions as well, but will still be tied with Zomato. The company hopes that this will bring more customers to its platform.